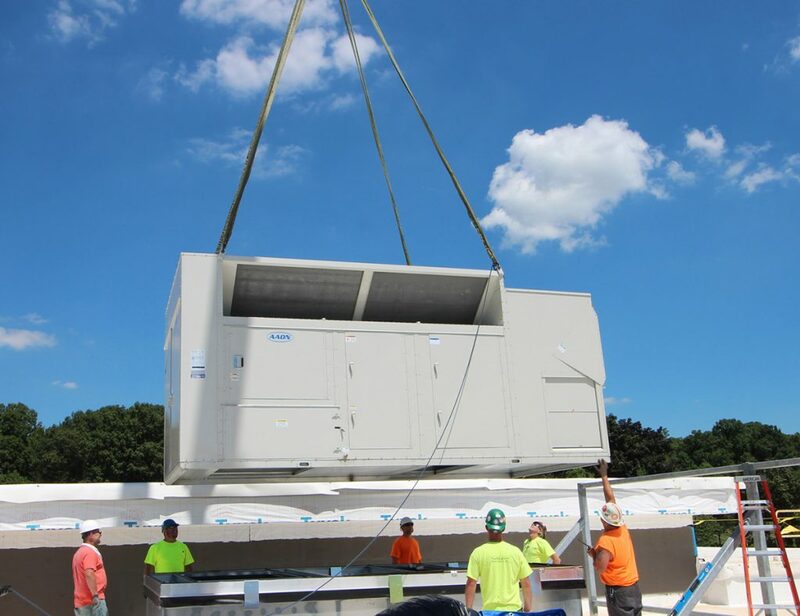 Rocky Hill Surgery Center | Controlled Air Inc. 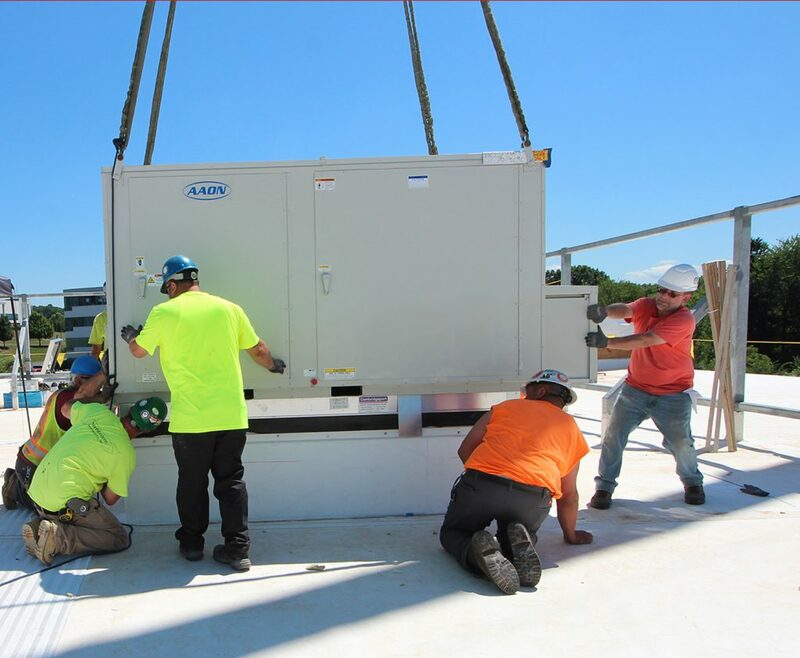 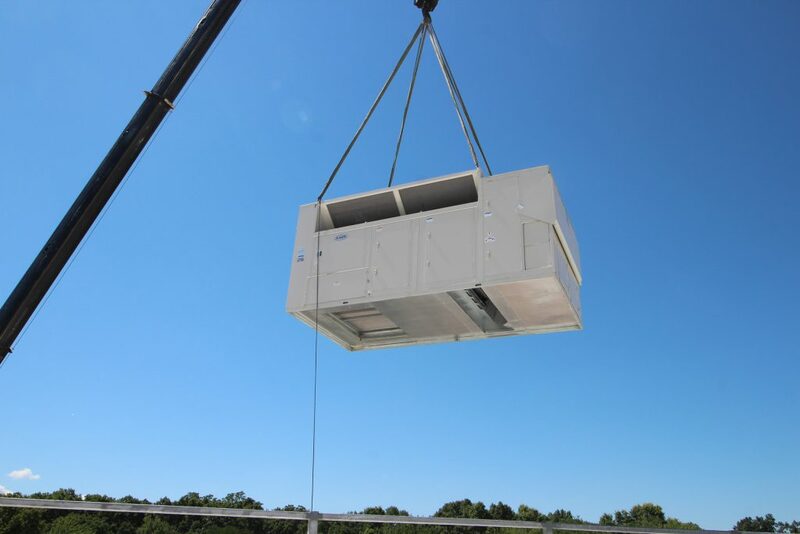 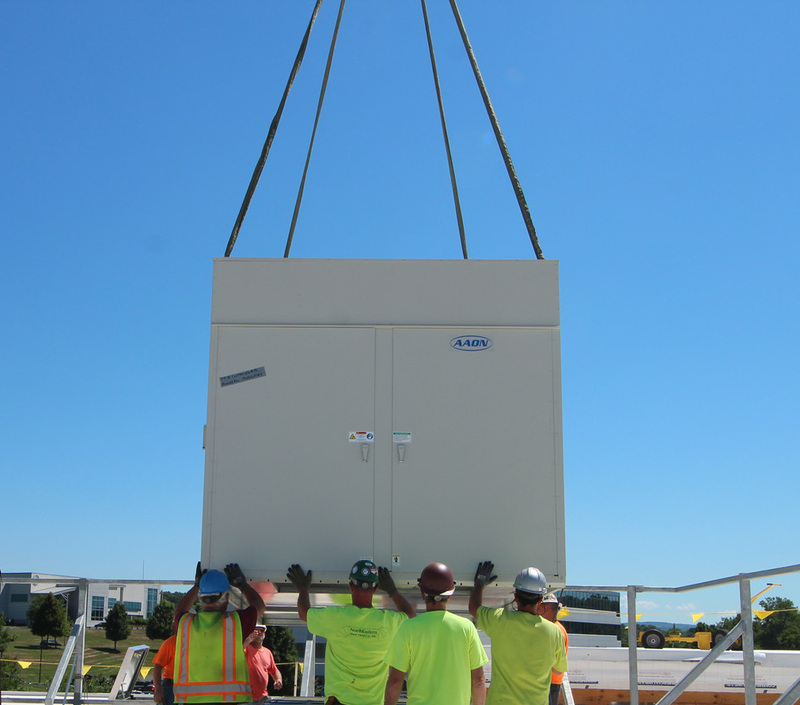 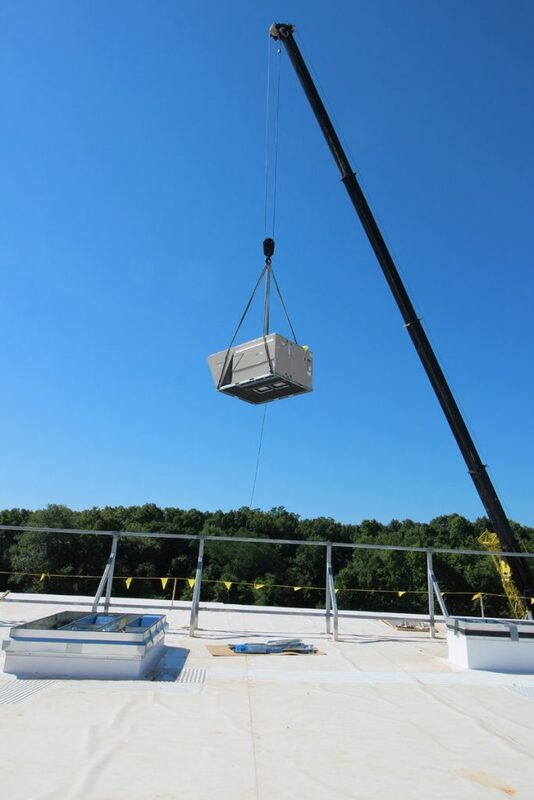 Controlled Air, Inc. was excited to work with AZ Corporation on the newest orthopedic surgery center in Rocky Hill, Connecticut with 7 operating rooms and 1 procedure room. 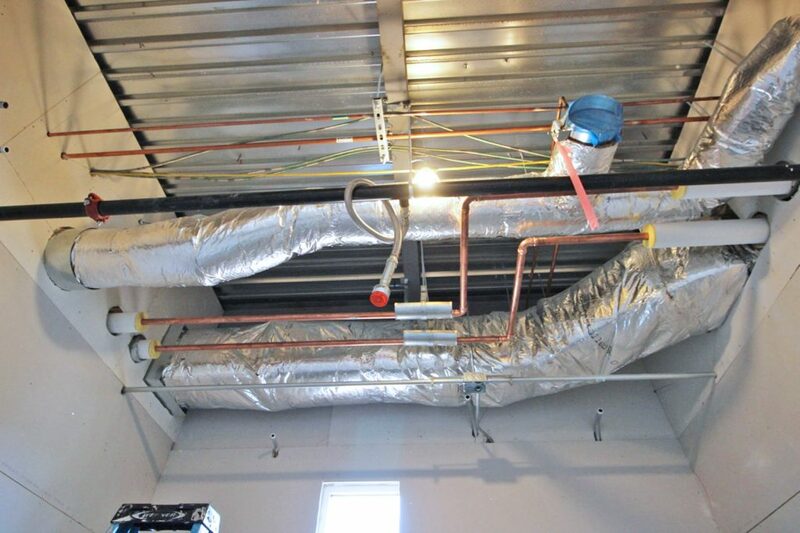 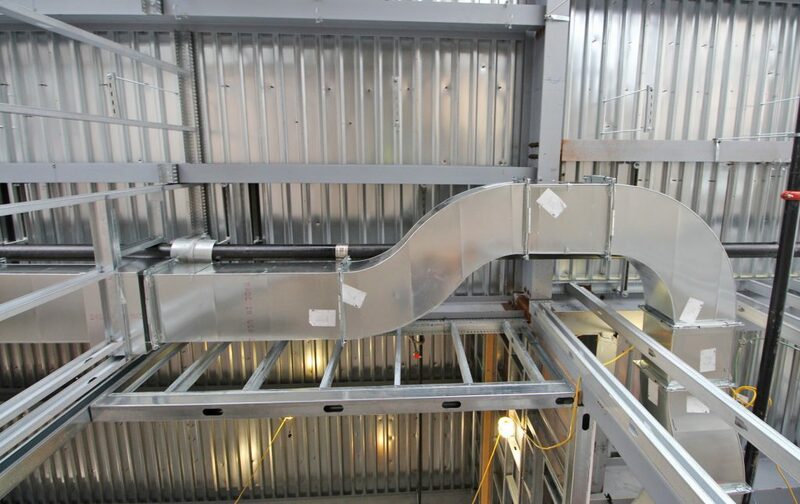 This was a new build project that required strict standards to adhere to the ASHRAE requirements for any medical center, such as increased air change outs and HEPA filtration. 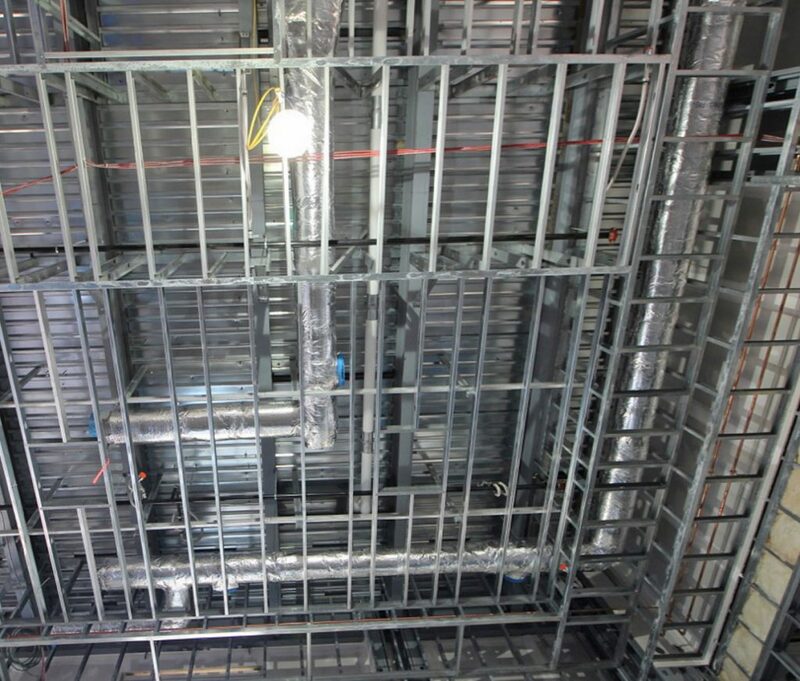 The project has three phases: Phase 1, The Core; Phase 2, Surgery; and Phase 3, Medical Office Building. 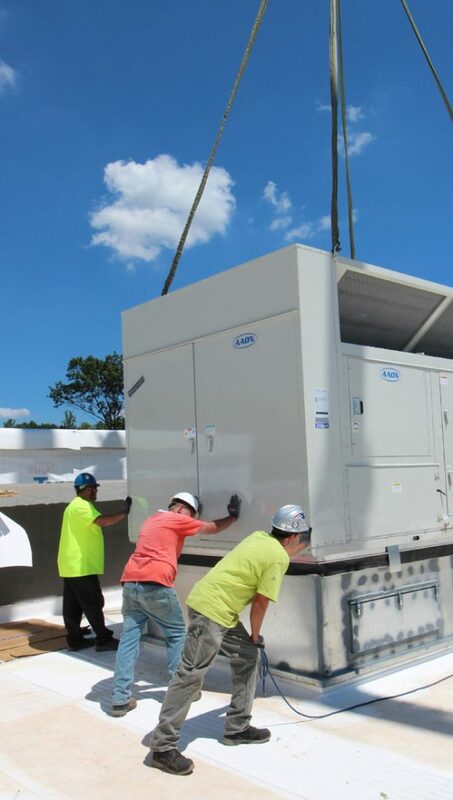 Seven AAON units with humidity control, return air bypass, energy efficient dehumidification and economizers; one AAON units with a premium efficiency motor, economizer with power exhaust and a VFD; one AAON unit with an Energy Recovery wheel, premium efficiency motor, and 2 motors on 2 VFDs; and two 25 Ton High Efficiency Lennox RTUs with variable volume air flow and economizers. 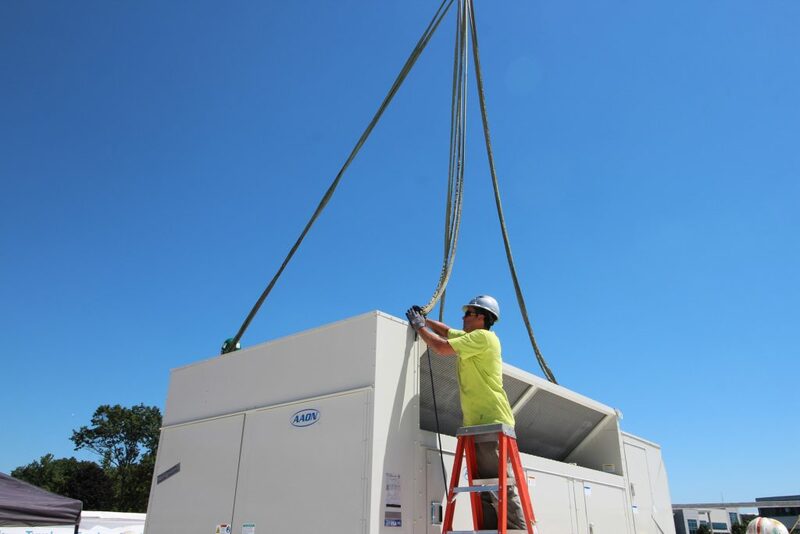 All new RTU's installed use R-410A refrigerant per the EPA requirements. 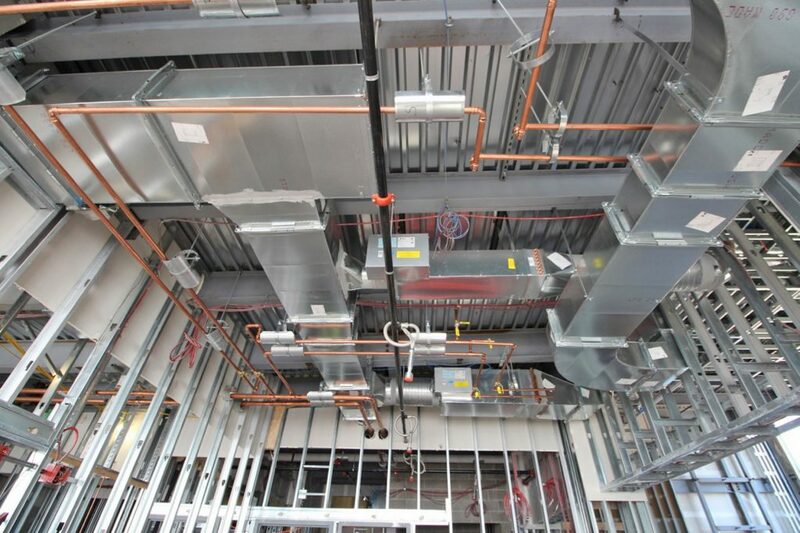 We also installed six (6) Sterling Linear Radiant Hydronic Ceiling Panels. 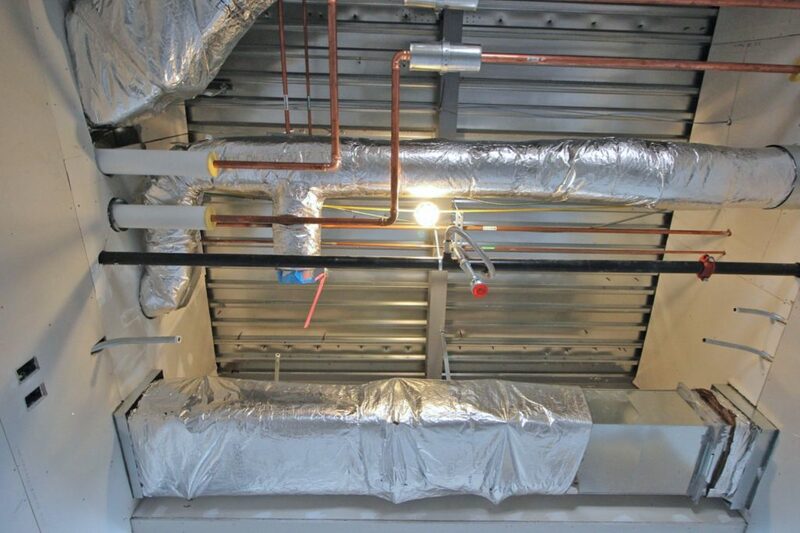 Radiant Panel ceiling systems are an energy and cost saving method of heating. 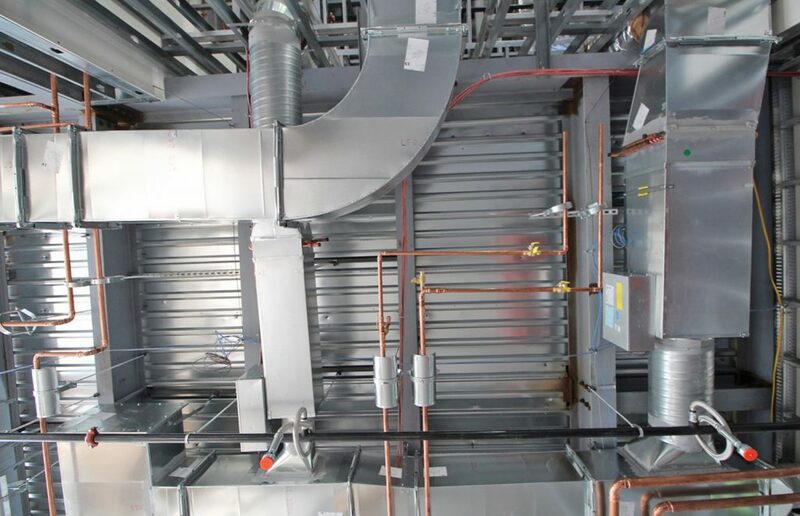 They provide distributed heating radiantly rather than by forced air providing a "draftless" environment. 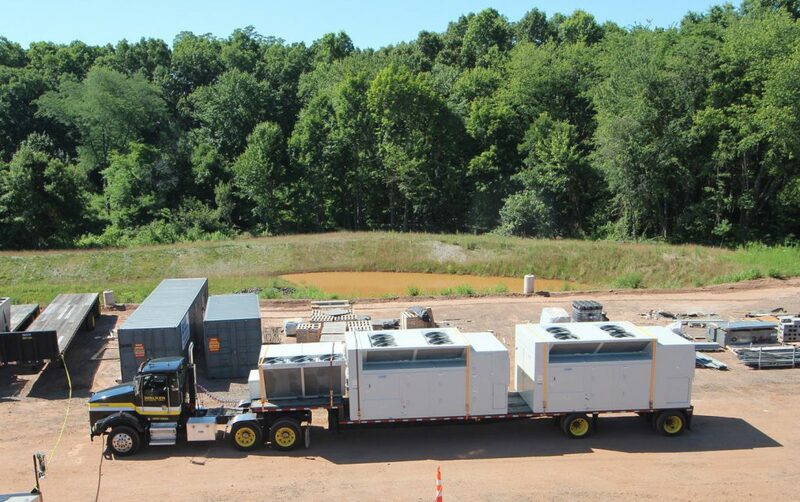 2 PK Gas fired condensing boilers with Axiom Condensate Neutralization Tank and Nuro touch-screen control system. 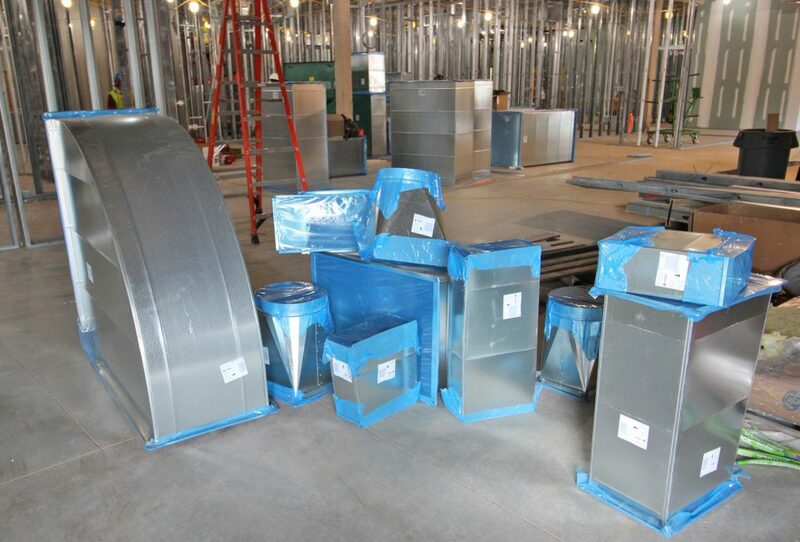 8 Nortec Humidifiers, The industry's most precise humidifier. 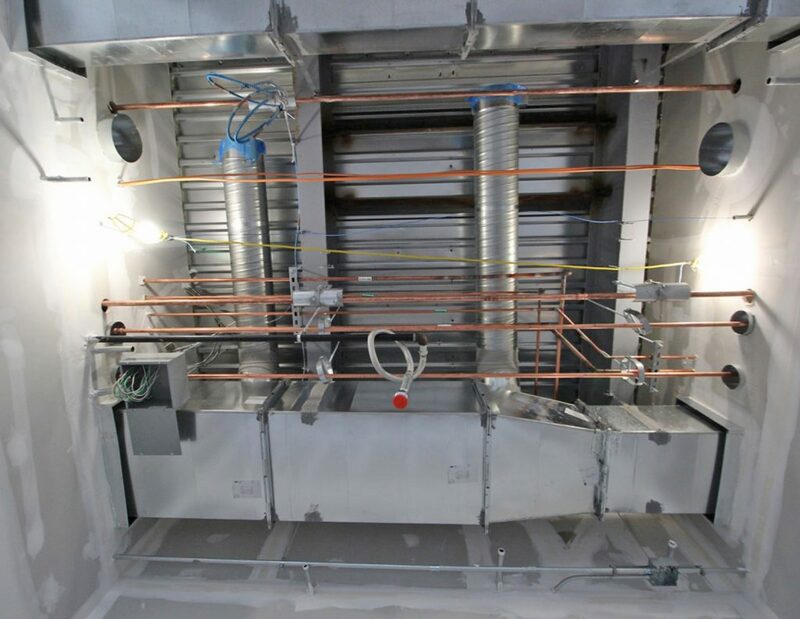 An isothermal system that produces mineral free, odorless, sterile steam from any water type. 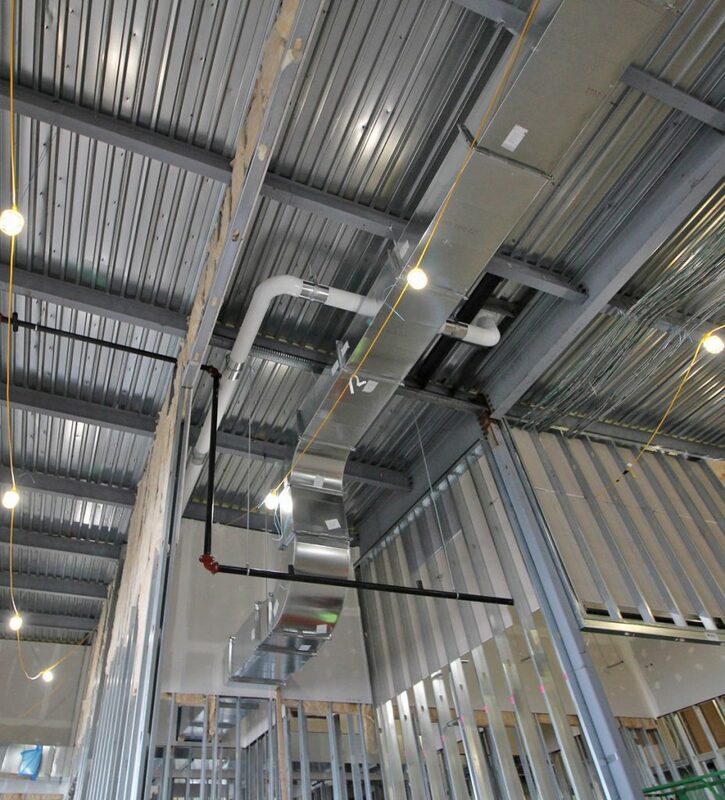 The Expected completion date is 10/31/2018. 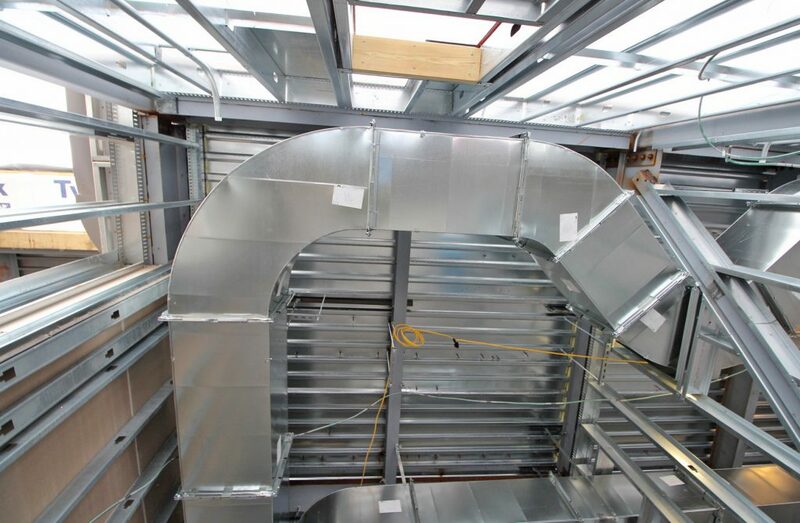 What is always challenging about medical facilities and pharmacies, are the extensive regulations for air changes, filtration, as well as humidity and temperature controls. 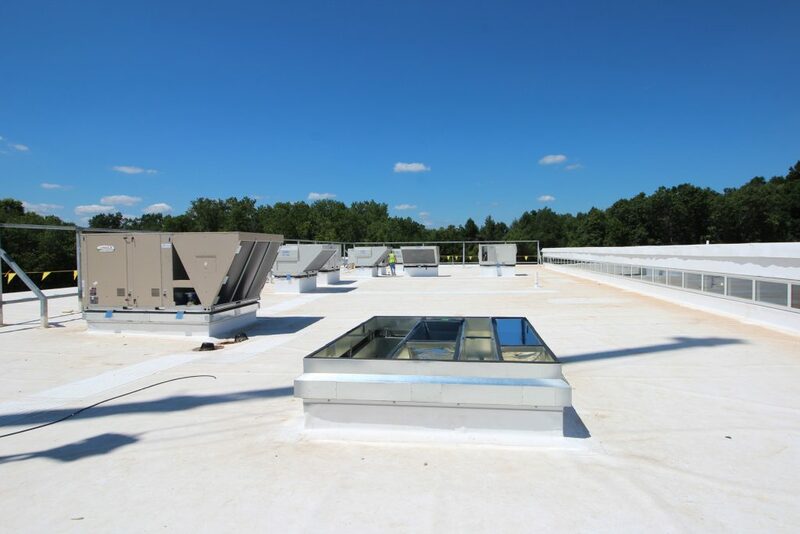 Unlike office buildings where the building requires consistent settings throughout the building, medical facilities can have different requirements per area. 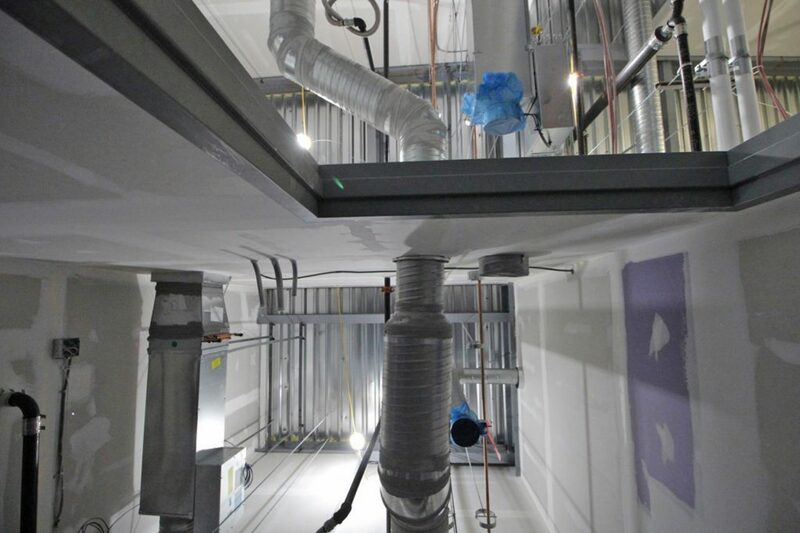 Surgical rooms and pharmacies, have different settings from the offices and also from each other. 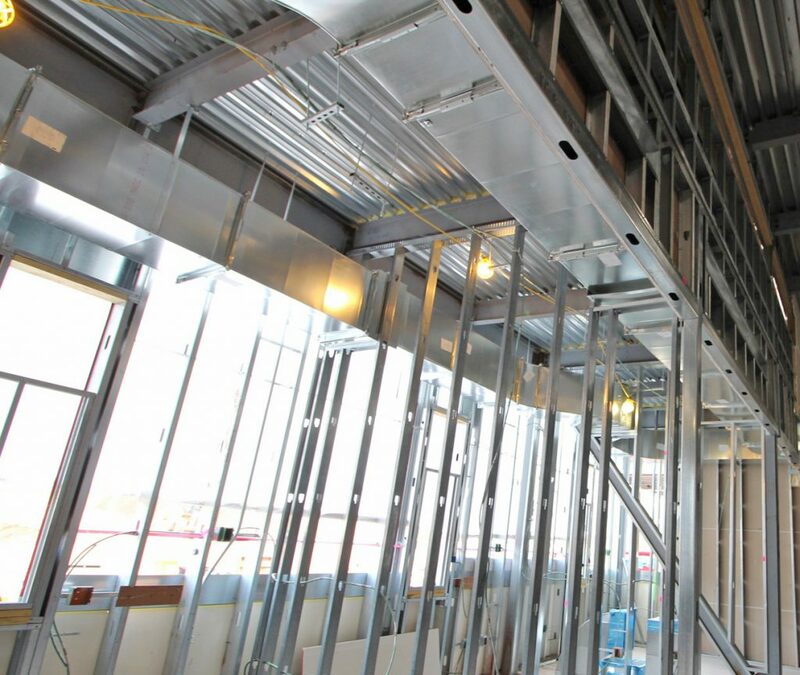 It take extensive controls and programming to make sure each area functions as required. 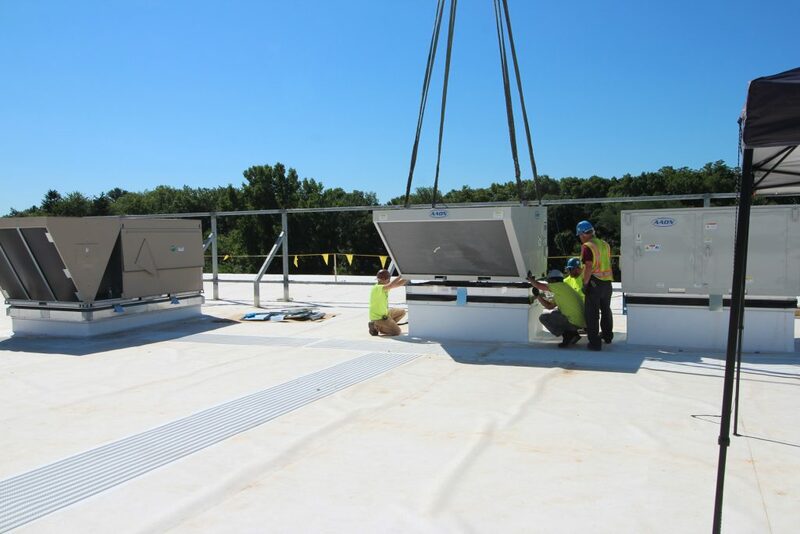 Keep your eye out for updates, we will be posting additional images as we move through the installation process.